Leah Myers oversees all of Thaden’s accounting and human resource operations, including payroll and benefits, financial reporting, accounts payable, accounts receivable, and audit and compliance. 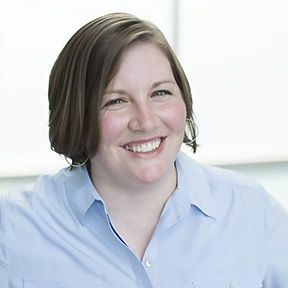 She brings to Thaden a deep understanding of best accounting practices for non-profit organizations, honed during nearly a decade serving as Senior Staff Accountant and Accounting Manager at the Walton Family Foundation. Ms. Myers holds a bachelor’s degree in accounting from Harding University and spent a year teaching as a foreign expert at the Hunan College of Finance and Economics in Changsha, China. A lifelong Arkansan, Leah enjoys exploring all that Northwest Arkansas has to offer with her husband Jeremy and their three girls.